Last offseason Ervin Santana turned down the Royals' one-year, $14.1 million qualifying offer in order to hit the open market as a free agent. 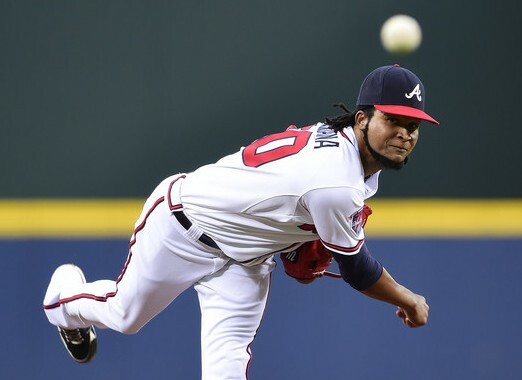 Once there he found most teams unwilling to give him a multi-year contract for big money and forfeit a top-60 draft pick, so he ended up settling for a one-year, $14.1 million deal with the Braves. He had a solid year in Atlanta, but it was worse than his 2013 season in Kansas City, yet this time around the process played out differently. Santana again turned down a one-year qualifying offer, this time worth $15.3 million from the Braves, but instead of settling for another one-year contract the Twins forfeited a second-round draft pick and gave him a four-year, $55 million deal that includes a fifth-year option for 2019. It is now the largest free agent contract in Twins history, surpassing the four-year, $49 million deal handed out to Ricky Nolasco last offseason. Nolasco's first season in Minnesota was a mess, but at the time of the signing last offseason his resume was relatively similar to Santana's resume now. Nolasco was 31 years old and coming off a season in the National League during which he threw 199 innings with a 3.70 ERA, 3.58 xFIP, and 165/46 K/BB ratio. Santana is 32 years old and coming off a season in the National League during which he threw 196 innings with a 3.95 ERA, 3.47 xFIP, and 179/63 K/BB ratio. Back then Nolasco had a 4.37 ERA with 7.4 strikeouts per nine innings for his career, including a 4.29 ERA with 6.6 strikeouts per nine innings in his three most recent years. Santana has a 4.17 ERA with 7.2 strikeouts per nine innings for his career, including a 4.06 ERA with 7.2 strikeouts per nine innings in his three most recent years. It's not a perfect comparison. Santana has more time in the American League and throws harder, among other differences. But you get the idea. Nolasco was not at the top of my list for preferred pitching targets last offseason, but a four-year, $49 million commitment seemed reasonable within the context of the free agent pitching market. It obviously looks terrible now in large part because Nolasco pitched hurt for much of the season while hiding the injury from the Twins, but $49 million for four seasons of a previously durable mid-rotation starter was more or less the going rate. And now the same is true of $55 million for four seasons of Santana, who has started at least 30 games and thrown at least 175 innings in five consecutive seasons. In four of those five years he posted an ERA under 4.00, with the exception being a miserable 2012 season with the Angels book-ended by two solid years on both sides. His fastball velocity has remained stable at 91-93 miles per hour and he leans very heavily on a low-80s slider, particularly as a strikeout pitch. Among the 101 starters with at least 250 innings during the past two seasons Santana ranks 48th in ERA, 38th in xFIP, 45th in strikeout rate, 54th in walk rate, and 55th in ground-ball rate. Toss in durability and Santana has fit solidly into the No. 2 or No. 3 starter category depending on your definition of that label. His control can be spotty and as a fly-ball pitcher keeping the ball in the ballpark can be an issue, which is how Santana allowed an MLB-high 39 homers in 2012. Santana signing for $55 million now, much like Nolasco signing for $49 million then, are examples of the Twins paying reasonable, market rates for good but not great veteran players to address an area of clear weakness for the present team. That doesn't mean the signings will necessarily work out positively, as Nolasco has shown so far, and it doesn't mean the biggest investment will have the biggest payoff, as Phil Hughes and his three-year, $24 million contract has shown so far. Santana makes the Twins better and while it's possible to quibble about whether he's worth $55 million versus, say, $40 million or $70 million, they haven't come close to maximizing payroll in recent years anyway. Giving up a draft pick to make a four-year commitment to a 32-year-old is the risk, particularly with Hughes, Santana, and Nolasco locked up for multiple years in a rotation that may soon want to make room for guys like Alex Meyer, Jose Berrios, and Trevor May. In the short term the rotation seems set. 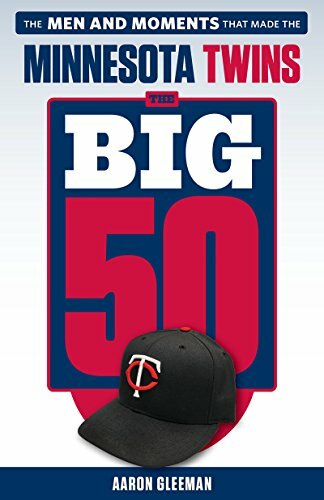 Hughes, Santana, and Nolasco have multi-year deals, Kyle Gibson isn't going anywhere after a decent showing at age 26, Mike Pelfrey is still under contract for $6 million, and the Twins somewhat surprisingly tendered Tommy Milone a contract at a projected arbitration salary of $2.8 million. Barring a trade or a change of heart the Opening Day rotation looks to be Hughes, Santana, Nolasco, Gibson, and either Pelfrey or Milone. I can only hope that Pelfrey can be effective enough to be traded for something reasonable by the deadline to open up some room for one of the other younger pitchers. The more likely hope is that Pelfrey is ineffective enough to be jettisoned for nothing by the deadline to open up room for one of the other younger pitchers. I’m actually reasonably intrigued by the idea of Pelfrey as a bullpen arm. His fastball-heavy mix might actually play over shorter outings. And $5.5 million isn’t crazy money for a bullpen arm. An experiment I hope the Twins at least try in 2015. Can you compare where he falls for all starters with 400 innings (or 360, 300 or whatever) innings the last two seasons? might be a better comp (or not). Also, remember Hughes had a high amount of homers and was a big flyball pitcher when he came here – thats what the people said (and complained about) then. Thanks. By this measure, he’s 17th of the 24 pitchers to pitch 400 innings over the past two seasons. Something I haven’t seen commented upon yet is that Ervin is one of the few starting pitchers in the league from the Dominican Republic. Can’t hurt Sano’s development to have some fellow #PlantainPower on the team. Other options include Ivan Nova, Michael Pineda, Carlos Martinez, Big Fat Bartolo Colon, Alfredo Simon, Ubaldo Jimenez (jk) and Edinson Volquez. guess is this happens less under Molitor. Oh no, I was hoping that the Santana signing meant that we for sure would not being seeing Pelf in the rotation. I agree it makes no sense to keep Milone AND sign Santana. Plus, Santana is a fly-ball pitcher, and our OF defense is terrible. Spending money is not the same thing as having a plan and executing it. 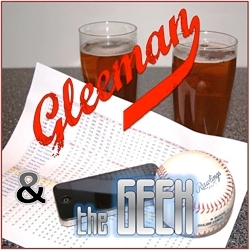 Arron- it’s strange to hear you say “He had a solid year in Atlanta, but it was worse than his 2013 season in Kansas City,” when you often bang your podcast fist for NOT measuring pitchers by ERA, instead preferring to measure them by per peripherals. We should absolutely question why it only took a one year deal to sign him last year and this year it took 4, but calling his season worse than 2013 doesn’t seem like a fair comparison. In 2013, Santana faced just one pitcher. He gave up a single toZack Wheeler. In 2014, he piled up an additional 23 strikeouts against 60 pitcher plate appearances, clearly easier opposition than he would have faced in previous years. If you separate out Santana’s performance in the past two years against pitchers and non-pitchers, which Baseball Reference helpfully allows you to do, you’ll see that Santana’s strikeout rate against non-pitchers was only slightly better. Did you know that across the entire game, pitchers hitting struck out 36.6% of the time? That’s almost identical to Santana’s 38.3% strikeout rate against pitchers batting, meaning he got a pretty standard boost by switching leagues. When you include an increase in walks, the outcome of all of this — highlighted in red, because it’s important — is a pitcher who just put up two all-but-identical seasons in two of the most important things a pitcher can do, which is a really long way of repeating that FIP-WAR thinks he wasn’t much different from 2013 or 2014. Yes, Santana’s strikeouts increased, but also, yes, the opposition made it easier. Hopefully that helps account for the improvement in his FIP. So you agree that his 2014 season was not worse, correct? I agree with the caveat that I’m concerned about his career high line drive rate last year. That could be a sign that he was getting hit harder than normal last season or it could just be batted ball luck? I’ll be curious to see what Shields goes for…would of much rather had him even if it costed a little more or better yet they should have used the money and signed Robertson or Miller and saved the rotation spot for the many available options they already have. it’s not like Santana is that much better than what we can already throw out there every 5 days. I hope that is not the starting rotation. It should be Hughes, Gibson, Santana for sure, then Trevor May and Alex Meyer unless they screw up. If May or Meyer do not perform, then Nolasco, Pelfrey, and Milone can have a chance to earn a spot. this just in, mike berardino is reporting santana and hunter are friends so that’s good enough reason for the twins to sign him.